There was news on the Froyo front for users of three Android handsets trying to get Android 2.2 installed. First, those with the AT&T Captivate can upgrade to Android 2.2 right away. There is one little hiccup. You need to use the Samsung Kies software that works with a PC. To download the software to your Windows powered desktop computer, click here and follow the directions provided by Samsung. If you own a Mac, your best bet is to find a friend with a Windows flavored PC that will do the upgrade for you. As for users of the Samsung Epic 4G, we have bad news. Three days ago, as we reported, users of the device received an OTA upgrade for Android 2.2 with the option to install the software manually. However, some problems have developed and some of those who installed the update have had problems with the handset's data connectivity or loading data from a microSD card. So for now, Samsung and Sprint have pulled the update as they work on fixing the problem. If you have experienced some difficulties in getting your Samsung Epic 4G to work, a hard reset is recommended. Back up your data and click on this link to the Sprint community help thread to see how it's done. The last bit of Android 2.2 news we have today deals with the HTC Aria. Users of this phone will find out from AT&T's Facebook page how to upgrade the device, starting on Friday. Because the Aria does not have the hardware to run every feature available in the the Froyo update, certain things that you might see on other Android 2.2 devices will not run on the handset. The phone will get the JIT compiler that should provide a bump up in speed when it comes to running the browser and some apps. So that is the Android 2.2 news for the day; hopefully it will all be good news in the not too distant future. Damn, my upgrade anniversary is just a couple of days away, and they pull the update again. I wonder how long it will take to fix the "bugs" this time? Somebody just give me a phone with a keyboard, flash capability, and a front facing camera please. Forget 4G, thats not in my area anyway. I got the 2.2 update for my Epic by OTA update and have had no problems wit it. Since getting the update my phone runs better then before and my battery actually seems to last longer. 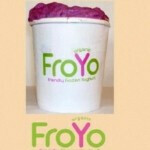 I got Froyo on my Epic by on line update at February,23. It's o'key. I have a question....could it be that the people having issues with the Froyo update are the same people who rooted their Epics and updated it early with the leaked software and then when the "Official" OTA update came out, their phones didn't work??????????????????? I just want to know when/if Sprint plans to release the update to the rest of us who did not get it OTA. This is beyond ridiculous at this point that we had to wait as long as we did for the update then they just cut it off without giving it to everyone, with no information about whether they would make it available at a later time or not.